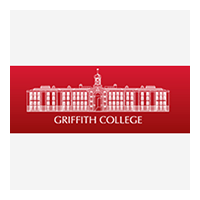 If you are interested in studying at Griffith, we’d be delighted to meet you at one of our upcoming open days to discuss the course that best suits your needs. Offering a unique Gold-Star qualification, the CPA Ireland designated is the most commonly used designation worldwide for professional accountants with the Institute's qualification enjoying nationwide recognition. Available in Dublin and Cork. This Management Foundations for Designers programme is aimed at participants who wish to gain core business skills and an understanding of the basic concepts of business planning and decision-making. Our Postgraduate Diploma in Accounting & Finance Management programme is available on either a full or part-time basis over a 1-Year Period and aims to prepare graduates for careers in International Accounting and Finance Management. The LL.M. in International Commercial Law offers students the opportunity to specialized in International Commercial Law in order to facilitate enhanced career opportunities and/or to lay the foundations for PH.D. study. The LL.M. in International Human Rights Law offers students the opportunity to specialize in International Human Rights Law, to facilitate enhanced career opportunities, or to lay the foundations for the PhD study. This Photography for Designers programme focuses on the use of photography in the analysis, exploration and communication of spatial ideas.